With all the times we’ve mentioned this cheese over the past year, is our No. 1 bubbly-worthy pick any surprise? 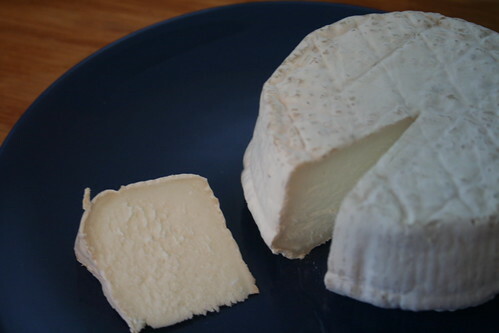 This triple-cream cheese from New York’s Nettle Meadow Farm is made from 75 percent goat’s milk and 25 percent cow’s milk, and the result is 150 percent spectacular. Read more. Happy new year! 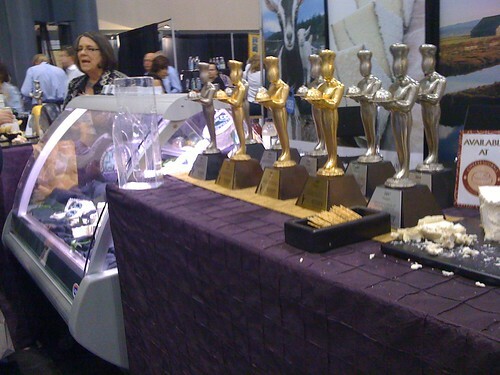 May 2011 be the cheesiest year yet. After two days of creamy cows-milk cheeses, we turn today to the equally luscious goats-milk cheese from California’s Cypress Grove: the multi-award winning Truffle Tremor. 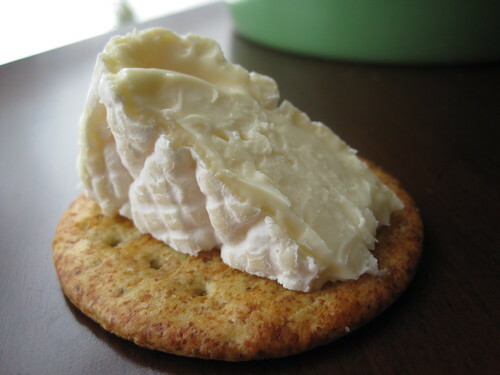 This earthy, rich cheese is always a delight. To really impress your guests, go all out and serve a truffle-themed cheese board with a trio of Truffle Tremor, Tartufo salami from Creminelli, and truffle honey. Add two more cheeses, perhaps Rogue River Blue and Beecher’s Flagship Cheddar, to cut the richness (and round out your West Coast cheese trilogy). Serve with a dry sparkling wine from California. It’s hard to imagine a more decadent way to ring in the New Year … but we’ll try with tomorrow’s #1 bubbly-worthy cheese pick, so stay tuned! disclosure: I received free samples of Creminelli salami. No other compensation was received, and as always, all opinions and reviews are strictly our own. Is there another champagne-friendly cheese more appropriate to follow Green Hill than the one called “Green Hill on steroids“? We think not. You’ll definitely like Moses Sleeper if you’re a Green Hill fan, but the two cheeses aren’t totally similar. 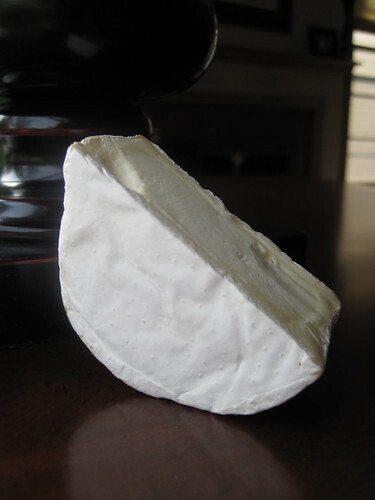 Both have the thick texture of a triple-cream cow’s-milk cheese, but whereas Green Hill tastes warm and buttery in your mouth, Moses Sleeper feels more subtle and cool. Read more. Sweet Grass Dairy has only been around for 10 years, but it’s quickly establishing a reputation in the cheese world for to-die-for cow’s- and goat’s-milk cheeses. The milk from the grass-fed cows makes the Green Hill so sweet and buttery that you’d think you’re eating a rich triple-cream. Read more. We hope you and yours had a very merry Cheesemas! Now join us as we count down to 2011 with our top 5 bubbly-worthy cheeses — perfect for toasting with cava, prosecco, sparkling wine or real champagne. 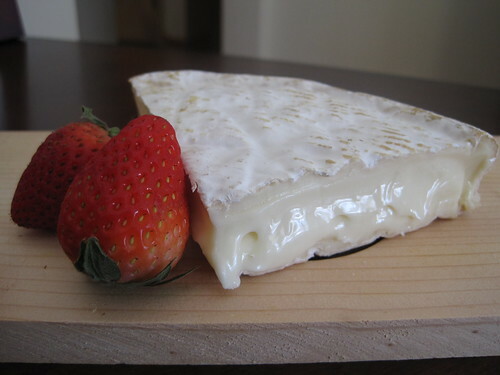 Merry Goat Round is a bloomy-rind, Camembert-style cheese that is aged just three weeks. It has a remarkably clean, fresh flavor and a chalky, firm bite. Read more.